In a sunny city like San Diego, the pool area is supposed to be a place where you can relax in comfort, but the scratchy surface of concrete can leave scrapes on your feet and knees (or those of your kids). It’s uncomfortable and gets stained easily by chlorine over time. Maintenance can be a pain too, because in order to fix any cracking issues with a slab of concrete you may have to repour the whole thing. As water seeps underneath, it causes the ground to contract and expand. This creates a recipe for any type of cracking issues. Using paving stones alleviates a number of these potential issues. While upfront costs may be slightly more, the many benefits (as well as the lowered maintenance costs over time) will end up saving you money and make you happier in the long run. 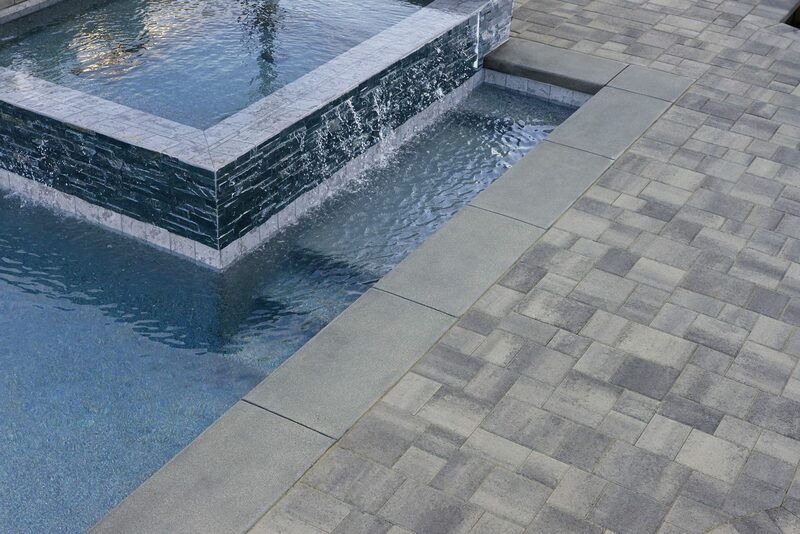 Why use paving stones on your pool deck? Smooth pavers feel better on your feet and make it so you can kneel down to take a picture of your child in the pool without getting abrasions on your shins. Also, because they are available in a number of stylish colors and styles, stone pavers are more customizable. This means anyone with an eye for decorating will be able to match the deck design with the environmental surroundings and the house itself. 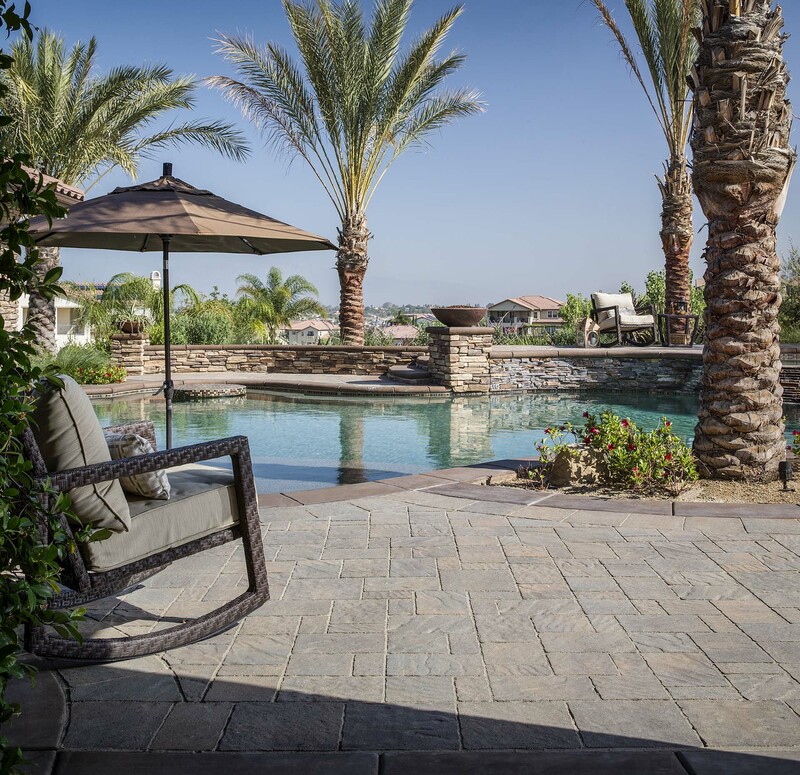 One issue with pool decks can be a build-up of mildew and algae, but stone pavers are naturally resistant. In addition, sealant and special polymer sand can be added to make this issue almost nonexistent. They can be easily cleaned with a gentle scrub with soap and water and just need the occasional sweeping. Because pavers can be spot replaced, if there are any issues with electrical or water lines to your pool, they can be easily lifted individually without having to redo the entire deck. Because of the many joints in pavers, they handle water runoff more effectively than other materials, returning water naturally to the water table. 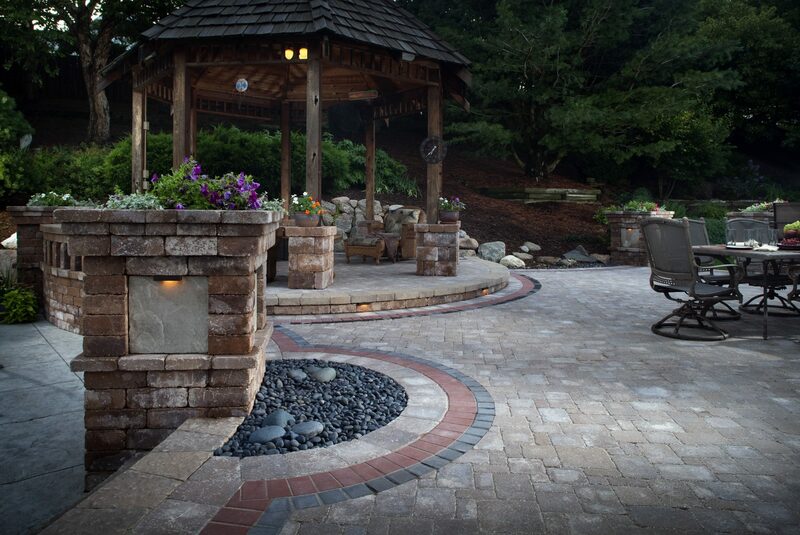 Many stone pavers provide natural non-slip surfaces that make the deck more safe than any other materials. In fact, most pavers actually surpass ADA guidelines for traction, ensuring a slip resistant surface. Do they get really hot? 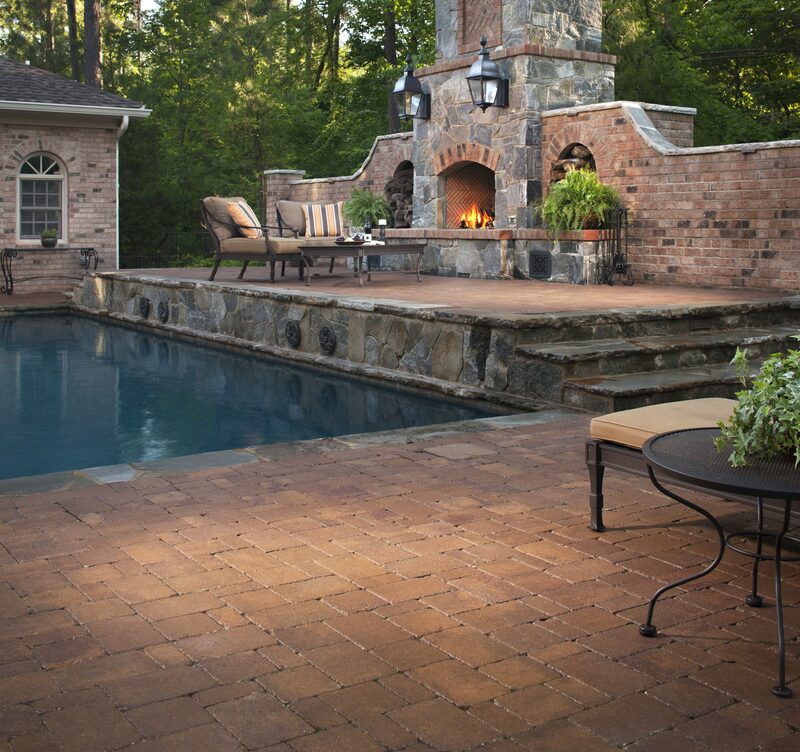 In general, pavers remain cooler than other deck options because they take on moisture well. 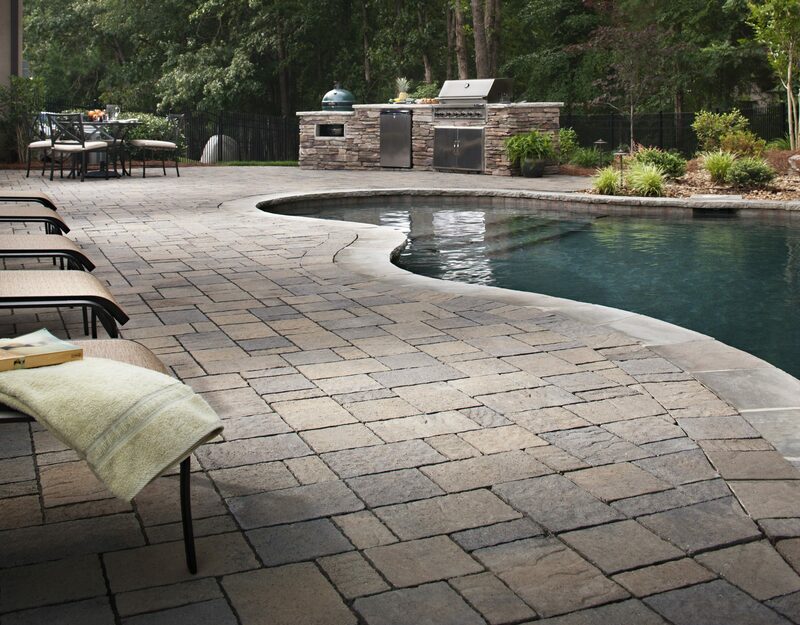 However, to avoid having your pool patio get too overheated the recommendation is to choose lighter pavers that reflect heat (rather than darker ones that will absorb it). Will they fade in the sun? UV treated pavers will be protected from the sun and stay the same color for many years. This means that if you want to build onto your deck at some point you can choose matching pavers and they will seamlessly connect to the current structure. 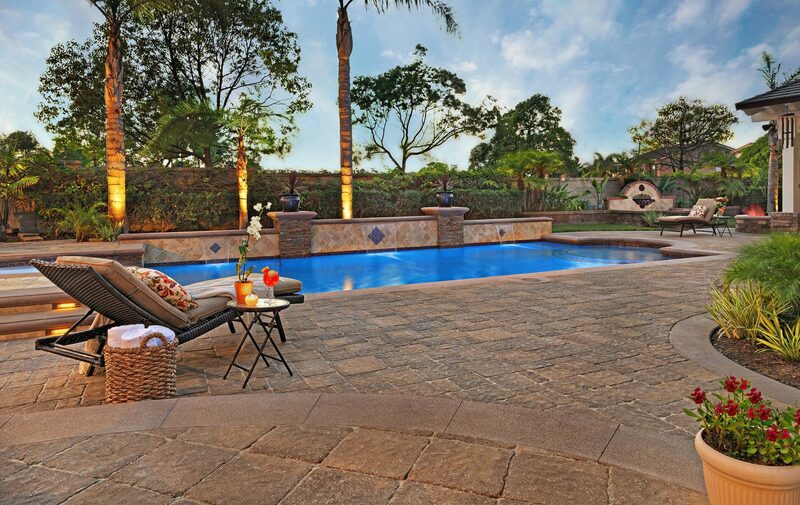 While stone pool pavers do have a higher upfront cost, they pay dividends in comfort, style, and lower future maintenance costs. If you have the option to put in the expense, it will be well worth using pavers while also adding nicely to the value of your house. 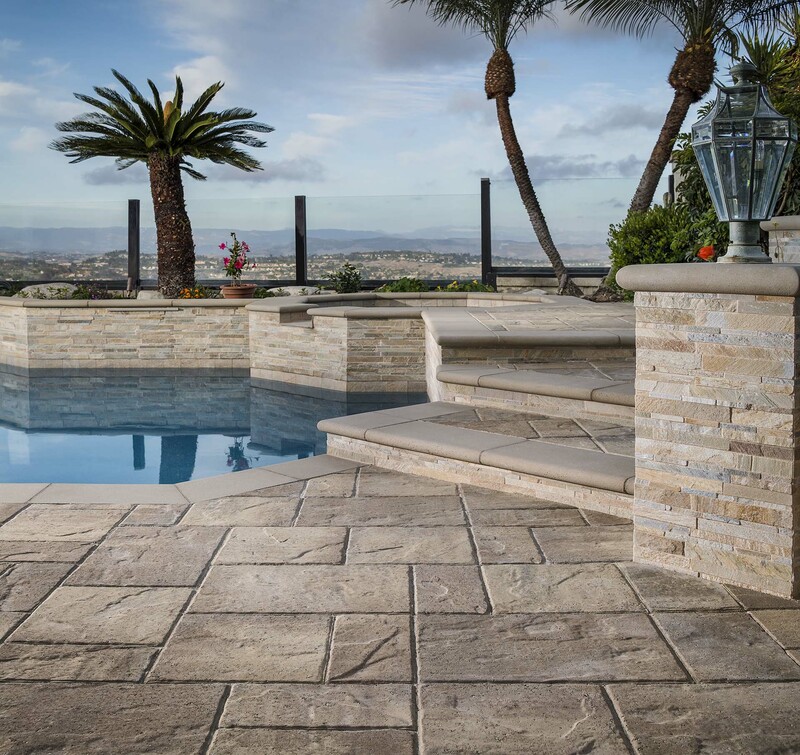 If you are interested in installing swimming pool deck pavers in San Diego or Orange County, we can help! Reach out to us today for a free estimate for your next project.